You may have heard of the power of search engine optimization (SEO) when it comes to keywords, but did you know SEO applies to images, too? It’s true! In fact, Google and other search engines will go out of their way to look for results that offer a blend of text and images. On this very blog, in fact, we recently noticed the phenomenon of image SEO. One picture in particular was leading visitors to the site, but not necessarily the picture we intended. This made me scrutinize one of our blog posts, “Why Email Marketing is Like Making New Friends,” a little more closely. It had the word “friend” in it and it happens to be one of our most-viewed blog posts. It’s one of our consistently, most-visited posts, but, considering all the views, the post is actually being shared less than average. Like the great Sherlock Holmes, my first instinct was to go to Google. Well, the title of the image is the very direct “friends.jpg.” Not only that, the first two paragraphs of the blog post are about friends. 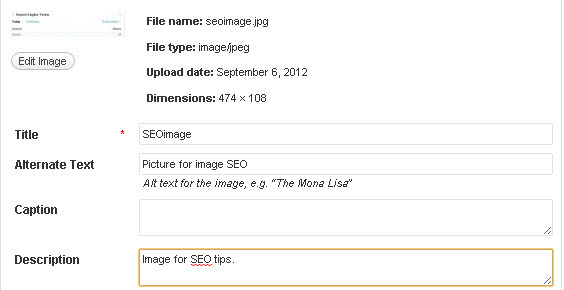 And that’s SEO for images — ta da! Relevance is also why “Why Email Marketing Is Like Making New Friends” doesn’t get a lot of social shares. 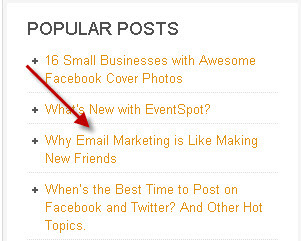 The post may drive visitors, but most visits are for the picture, not a post about email marketing. Most people who come in through Google Images probably don’t give the post itself more than a glance, before skipping off back to search engine land. So, with friends.jpg, we’re casting a big, clumsy net into the whole ocean, instead of using a fishing pole. It’s important to note that search engines still just rely on text to find the right images in the first place. That’s why image titles matter. Keep that in mind when you save images, name them, or change them in any way. If you have access to the other image details, edit those to make them as relevant as possible, too: metadata, captions, labels, transcripts, description fields. Now, it’s time to sit back and see if I get readers who are looking for an article about SEO for images… or if I made a typo and wind up in searches for “SHOE images” or something crazy like that. What has your experience with SEO been like? Let us know below!